As you rev the engine and sail over the asphalt, your radiator is working overtime to keep your engine cool. Like the oil in your engine, your radiator fluid (AKA coolant and antifreeze) reduces the temperatures in your engine to a safe operating temperature. That means that when your radiator isn’t operating as it should, well unfortunately, you’ll have to pull over to the side of the road—running an overheated engine will cause irreparable damage, and it can total your vehicle. Now, that’s why it’s so important to care for your radiator, and it’s crucial that you take your vehicle in to the mechanic when you see your engine temperature gauge spiking. 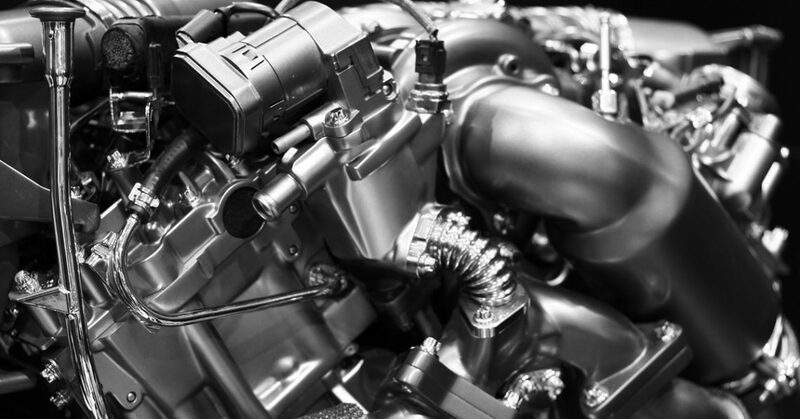 Fortunately, you can always count on the professional mechanic crew here at Urban Autocare—Denver and Lakewood’s source for mechanic services, including radiator flushes, repairs, and replacement — we’re provide service for most makes and models, including Toyota, Jeep, Subaru, and many others. A flush is more than just a drain and fill. A radiator flush cleans, seals, and lubricates the interior of your radiator system. Over time, your radiator system can accumulate rust, sediment, and other contaminants, and these contaminants can hinder the performance of your radiator. If your radiator doesn’t cool as well as it used to, then your radiator may need a flush. You should also include a radiator flush in your regular maintenance routine. Most auto manufacturers recommend that you have your radiator flushed every 30,000 miles or once every three to five years (whichever comes first). If you have a radiator that’s underperforming, it might mean that it requires service other than a flush. You may, for instance, have a problem with your radiator fan (which pulls air through the radiator to cool the fluid). Or, you may have a leaking radiator hose. You may even have a broken thermometer. Whatever the issue, we’ll get to the source of it, and we’ll repair your radiator to ensure that your vehicle remains cool, even under the most demanding conditions. When your radiator completely fails, it’s time to replace it. If you have a cracked radiator, or a leaky radiator, you may have no other choice than replacement—keep an eye on the coolant levels in your car, and be wary if the engine is overheating. 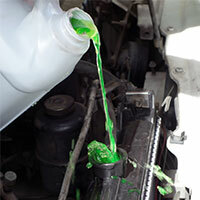 You may even notice radiator fluid dripping from your radiator onto the floor. In addition, if you have a mass of sludge that’s built up in your radiator, you may also need to replace the radiator—otherwise, the sludge can further damage the radiator, as well as your vehicle’s transmission. Here at Urban Autocare, we provide all-inclusive mechanic services, including radiator and coolant system services. As your local mechanic shop, we pride ourselves in providing speedy, accurate service. We’ll inspect your vehicle, assess any issues at hand, talk to you about the solution and the price you can expect to pay, and then we’ll get to work to get your car up and running. We’re proud to provide auto services for our neighbors here in Lakewood, City Park West, City Park, Park Hill, Washington Park, Downtown, and Uptown.